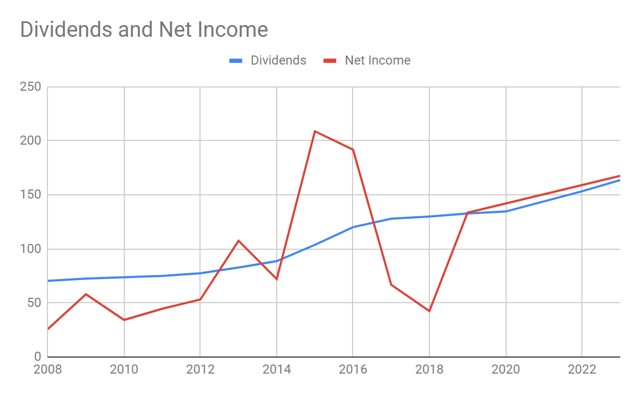 Tanger’s dividends have been growing all these years and would definitely do so for the next five years as forecasted using the Dividend Growth Model. Amidst the changing condition of its operations, Tanger increased its revenue and remained feasible. The stock price continues to be cheap and undervalued. The sale of its four non-core outlet centers would help it focus more on its core operations and reduce outstanding debt to further invigorate its financial performance. 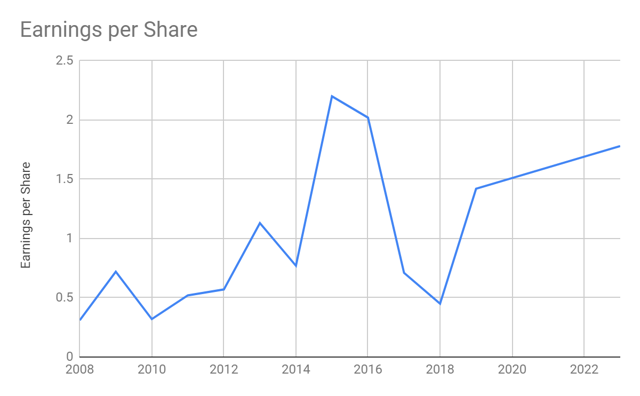 Tanger Factory Outlet Centers (NYSE: SKT) continued to lavish earnings on its investors as dividends consistently grew throughout the years. Moreover, revenue and net worth have been moving in an upward trend, suggesting the company's solid fundamental health. Despite these, the stock price continued to be bearish and undervalued. Dividend per share grew for the last 10 years with an average growth rate of 6.5% annually. It became more prominent in 2015 as it leaped from t $0.95 per share in 2014 to $1.1 per share in 2015. It became even larger in 2016 as it rose to $1.26 per share, giving a 16% growth rate. It increased again to $1.35 and $1.39 per share in 2017 and 2018, respectively. Forecasted years show higher values. In 2021, it would increase by more than $0.10 or 7.7% per share, showing a rapid movement once again. Moreover, amidst the changing condition in the market, SKT remained profitable and solvent. Given this, how long could the company suffice this? Forecasted values were derived using the Dividend Growth Model. While dividends kept rising through the years, net income has been fluctuating for the past five years. Along with the sharp increase in net income in 2015 and 2016, dividends significantly increased, too. But one should know that SKT has been religiously distributing dividends to its shareholders despite the decrease in its earnings, especially in 2017 and 2018. But as projected, net income and EPS is likely surely to increase which is confirmed by Nasdaq's projection. Thus, SKT would be more capable of doing this. Dividends were Taken from Nasdaq. Net Income values were taken from Tanger Factory Outlet (Official Website). SKT's net cash inflow from its operations and capital expenditure remained adequate enough to meet the company’s obligations. Its massive amount would be larger over the next five years. 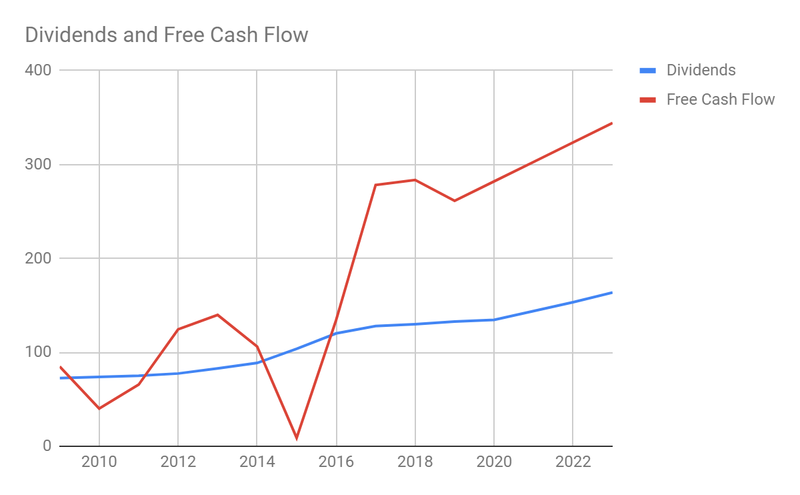 A surplus of $100-$200 million would be realized should the company decide to deduct dividends directly from free cash. Given this, the company would still be profitable and solvent enough even after paying its investors, proving its sound fundamental health. Free cash values were taken from Tanger Factory Outlet (Official Website). SKT proved its market power as its operating revenue kept ascending to reach the skies. From 2008 to 2018, it had an average annual revenue growth of 7.5% or $28.4 million. From about $200-$300 million, it kept moving upward until it almost reached $500 million for the last two fiscal years. Projected values for the next five years show stronger demand for SKT as revenue is estimated to grow more and land at $600 million approximately. Quarterly values also showed a positive result as 2018 had the highest values in all quarters in reference to 2016 and 2017 comparative time series. Meanwhile, operating costs and expenses moved in the same direction, though slower than revenue. However, expenses started to fluctuate in 2014 as there have been notable highs and lows, especially in depreciation, amortization, and costs of maintaining properties. Nevertheless, they never overpowered revenue as the increase in sales easily canceled out the changes in costs and expenses of operations. This resulted in an impressive average operating margin of 25% or $91.9 million, with a yearly increment of 3.6% or $3.3 million for the last 11 years. 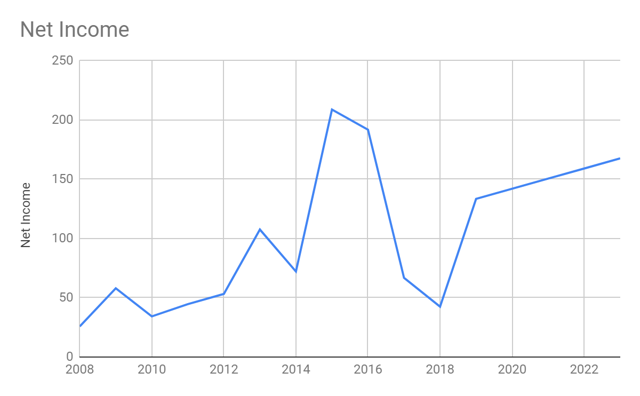 2019 to 2023 forecast showed a more optimistic view as it is expected to rise from its decreasing trend in 2017 and 2018. Projected values were derived using linear trend analysis. Non-operating income and expenses have been almost constant since miscellaneous income and expense, income from its investments in associated companies and interest expense have not been substantially changing except when there were exceptional gains and losses. Gains from the sale of previously held non-core entities and/or interest in a joint venture or unconsolidated subsidiaries happened in 2013, 2015 and 2016 which gave an amount of $26 million, $120 million and $95 million, respectively. The impairment charge was incurred in 2018 and resulted in an expense of $44 million. In short, non-operating income and expense would have remained unchanged in the absence of the above-mentioned exceptional gains and losses. Amidst the sharp changes in the company's non-operating income, SKT remained profitable and capable to make dividend payments. 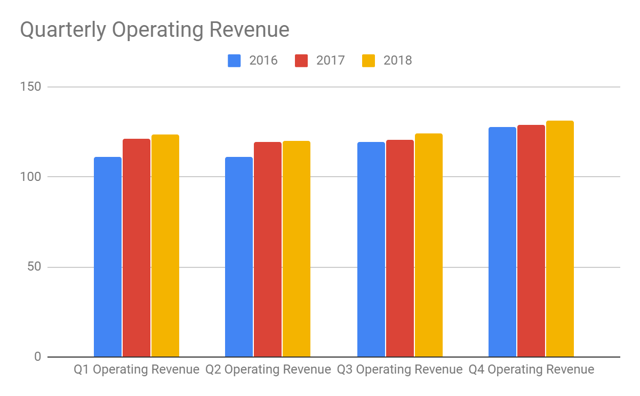 With the increased operating profit and almost constant non-operating income and expenses, it would realize a higher level of bottom-line earnings. From $25 million in 2008, it would have grown to $70-$90 million in 2015 to 2018 had the company decided to continue making use of its resources and not include impairment charges on its property yet. Nevertheless, one must accept the fact that with or without the presence of those exceptional items, the company remained highly profitable with an increasing trend. Furthermore, forecasted values showed that net income would largely increase for the next five years, agreeing with the optimistic view of the company’s viability. Since weighted average shares have not been changing significantly, EPS continued to mirror the movement of net income even in projected years which also showed an optimistic outlook. 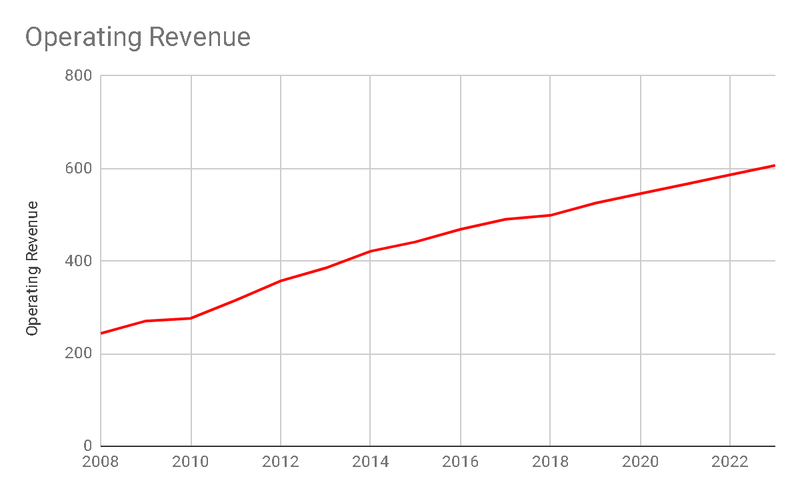 From $0.45 in 2018, it would rise to $1.42 in 2019 and $1.51 in 2020 and would continue to increase for the succeeding years. 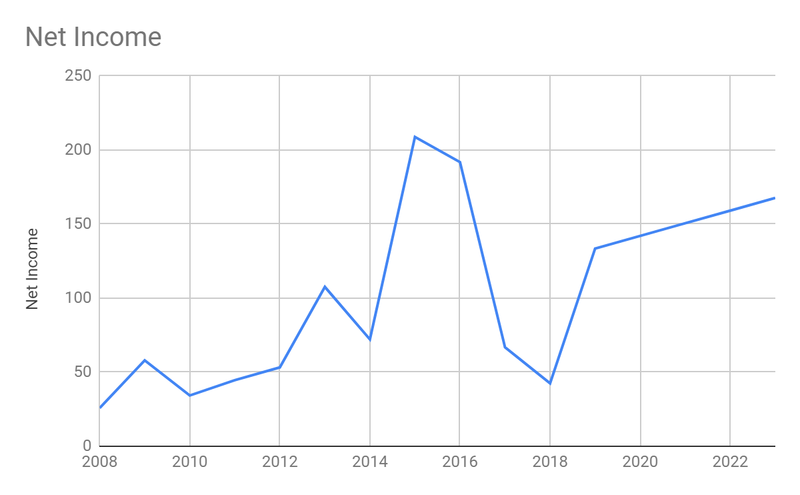 Nasdaq posted a more positive forecast at $2.26 in 2019 and 2020 and $2.3 in 2021. The upward movement of both assets and operating revenue resulted in the almost constant trend of asset turnover ratio. This showed that for every purchased asset, revenue increased as well. 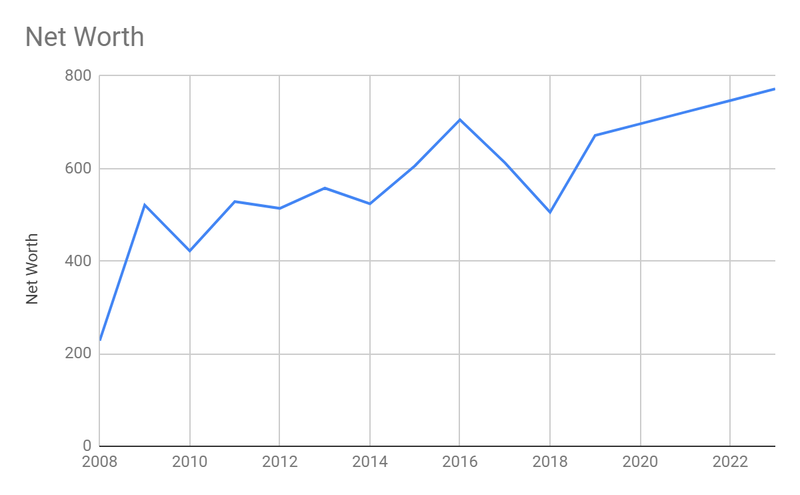 Since 2015, it has been moving in an upward trend from its constant but slightly downward trend. This also conveyed that the assets were efficiently utilized for the operations to generate a large amount of revenue which would further increase in the following years. The fact that the company remained profitable was reflected here. 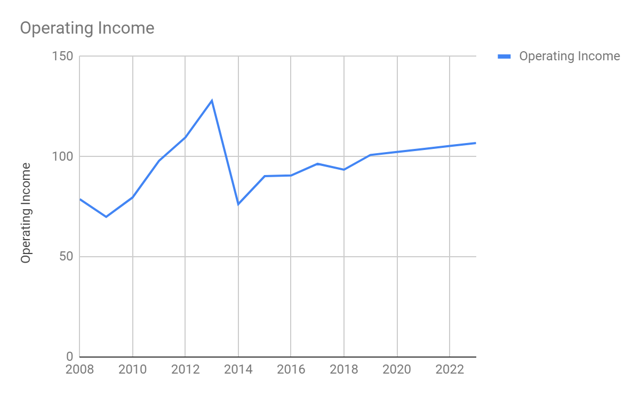 Its upward trend in 2011-2015 showed that net income increased at a higher rate than total assets relative to the previous years. 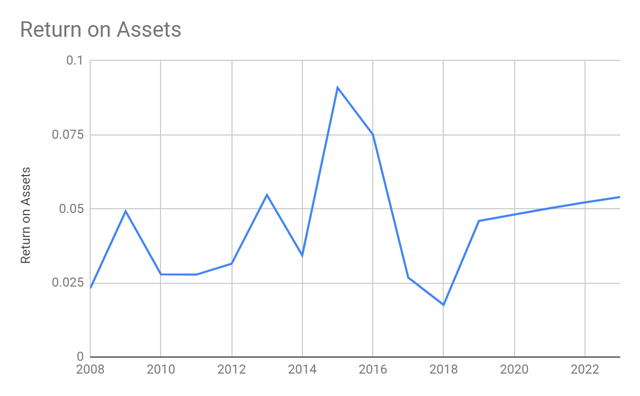 From its slowdown in 2016-2018, the forecast for the next five years showed that assets would generate higher earnings again. To determine the fundamental health of a company, one must determine its demand, profitability, and solvency. SKT continued to capture more demand as its revenue has been increasing consistently. The company also continued to gain profits amidst the exceptional changes in the non-operating section. With regards to solvency, it could be seen here that SKT’s assets remained higher by hundred million than liabilities. 2019-2023 reflected higher values which also implied that assets would remain larger than liabilities. It became a good point as it could be seen that Tanger has always been solvent to meet both its obligations with a remaining amount of $200-$800 million even after settling them all. Tanger continued to be bearish since December 2018. From $23-$24 per share, it continued to go down to $19 to $21 per share. Given this, is SKT set at its correct price? 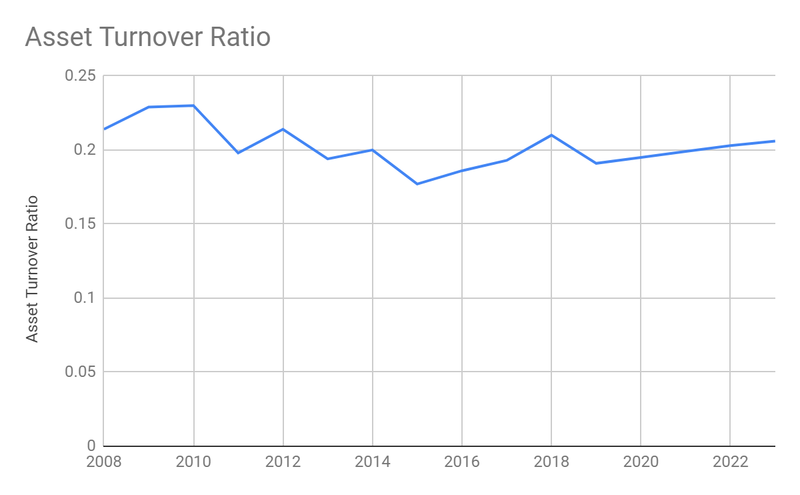 Dividend growth model says it's not. It could be seen that Tanger continued to be undervalued and would definitely rise soon until it is set at the right price. Before 2018 ended, Tanger closed a joint venture financing via mortgage loan of $95.0 million which would mature in 10 years. This was intended for payment of its outstanding debt of $87.0 million as well as interest payment. Indeed, Tanger made an optimal move to reorganize its finances. By doing so, the company could focus more on further strengthening both its core and non-core activities to come up with higher sales and earnings. This should not be bothersome since Tanger proved itself to be an indisputably profitable and solvent company given its consistently positive earnings and high net worth and free cash. It could even pay all its obligations in the wink of an eye if it chooses to do so. With all the presented information, it could easily be seen that Tanger continued to be a strong company given its market power to capture increasing demand and maintain sustainability. A short-term investor is urged to invest here. SKT is still inexpensive and undervalued. The stock price would still go down some more before increasing again until it reaches its real value. With this, now is the right moment to purchase a stock or do buy-and-sell. Likewise, long-term investors already saw how Tanger remained formidable over the years. It continued to widen its operations and to remain feasible. 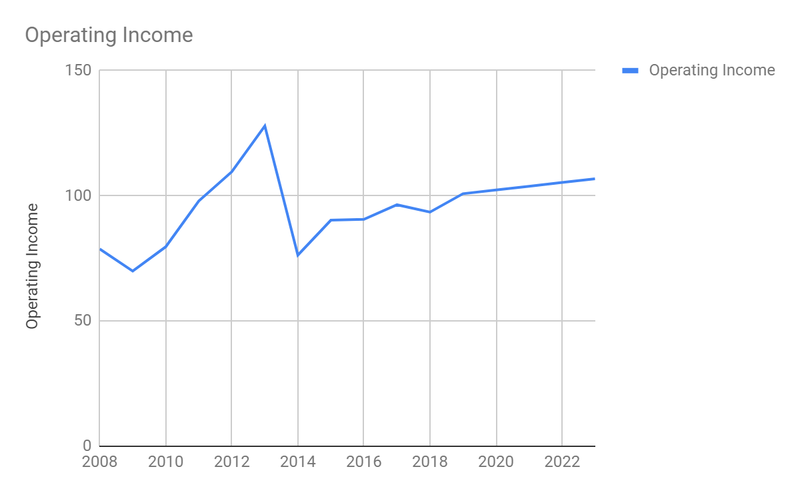 Also, dividends have been growing consistently, though it has been slow since 2017 and would continue to be so in 2019 and 2020. But what really matters is its growing trend. In 2021, 2022 and 2023, it would make a giant leap by more than $0.30 or 20-30% per share. Disclosure: I am/we are long SKT. I wrote this article myself, and it expresses my own opinions. I am not receiving compensation for it (other than from Seeking Alpha). I have no business relationship with any company whose stock is mentioned in this article.